Tello is a mobile virtual network operator (MVNO). That means instead of maintaining their own wireless network infrastructure, Tello buys bulk access from Sprint. Because they purchase service at wholesale prices, Tello can pass those savings along to their customers. Tello offers prepaid service, so you pay in advance for one month of service at a time. There are no contracts and no activation or termination fees. Even compared to other Sprint MVNOs, like Ting, Tello is relatively inexpensive. Tello uses Sprint’s wireless network to provide service. That means that if you already have Sprint and are satisfied with the coverage in your area, switching to Tello should make no difference. If there is no Sprint coverage in your area, your phone will not have a signal as Tello does not offer roaming. Verizon and AT&T both have broader coverage than Sprint. Sprint consistently ranks last in network speed nationwide. If having a fast data connection is important to you, then check to make sure your area has 4G LTE coverage. See if you have Sprint 4G LTE coverage in your area. Any phone that is Sprint compatible and not under a Sprint contract will work, whether it’s your current phone or a new one you purchase from Tello or from elsewhere. See if your phone is compatible. 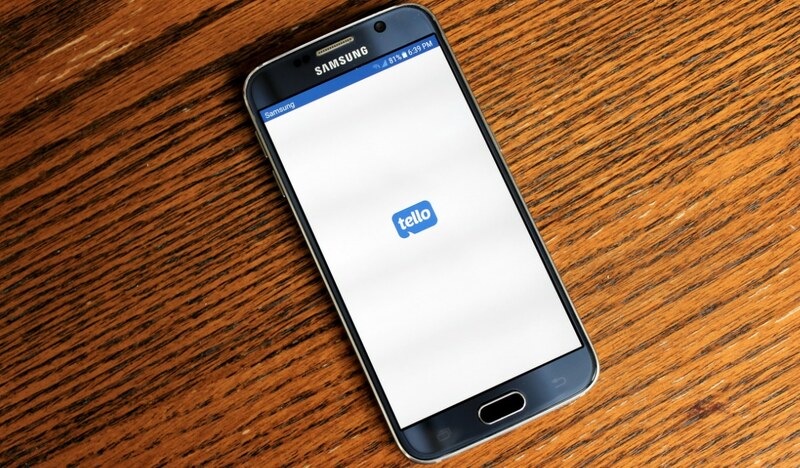 Tello allows you to switch service from one compatible phone to another at any time. Tello’s Dashboard provides a simple and easy way to check your phone records, usage data, and balance from your phone or from your computer. You can also cancel, renew, or change your plan, activate a different phone, block the number of a lost phone, and turn texting off and on. A Tello app allows you to use local Wi-Fi to make calls whether you are out of Sprint’s coverage area or out of the country. Calls from the US to Mexico, Canada, and China simply deduct minutes from your plan like any domestic call at no extra cost. A “Pay-As-You-Go” feature provides a way to make calls to other countries. When you go over your data limit, Tello throttles data speed rather than cutting you off completely. 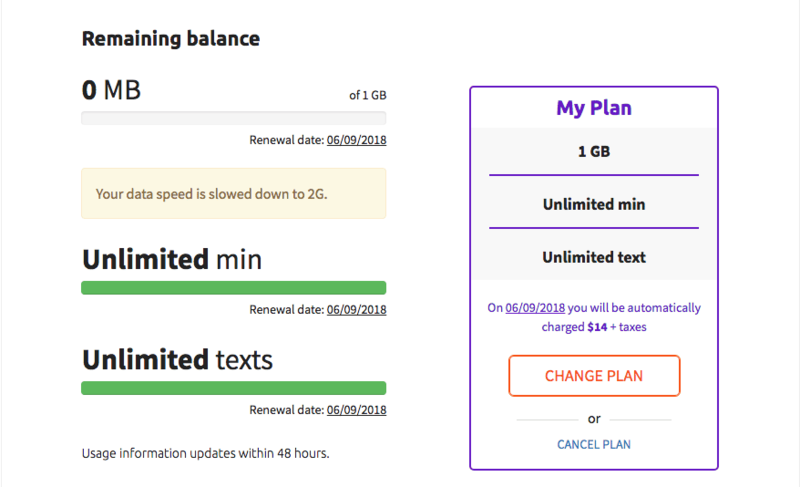 The throttled speed is very slow (2G maximum), but if you can’t live with that until the end of the month, you can instantly upgrade your plan online. Unused minutes and data do not automatically roll over to the next month. They roll over only if you manually renew or change your phone plan before the end of month. Tello advertises a “customer service team that will answer in less than 5 seconds.” The few times when I called, they did answer quickly, were patient, and walked me through the steps to address my problem knowledgeably. Communication was clear and background noise was minimal. The online Help Center has dozens of FAQ’s organized into more than 20 categories. Is Tello Right For You? If you don’t have good coverage from Sprint in your area, if you want the latest and greatest phone as soon as it comes out and can’t wait for an unlocked Sprint-compatible version, or if you’ve got to have roaming, then Tello would not be the best choice for you. But if you want to save money without sacrificing essential features, Tello’s blend of very inexpensive service, cheap data, and flexible plans with no contracts or extra fees makes it a good choice. Tello’s blend of very inexpensive service, cheap data, and flexible plans with no contracts or extra fees makes it a good choice. Please share this article if you found our Tello review helpful. If you have any questions, please post them in the comments section below. Thanks for reading! Disclosure: ReviewTechnica does not do paid reviews, but if you use one of our links to purchase a phone or plan from Tello, we may receive a small commission. Description: Tello Mobile offers inexpensive prepaid mobile service on the Sprint network with no contracts, no hidden or extra fees, and flexible plans. Rating: 7.7 out of 10.